Earthquake Weather sets Strummer wandering solo through his "wilderness years" in the not so barren climate of Southern California. All this week PopMatters is offering exclusive excerpts from the new Chris Salewicz biography of Joe Strummer, published this week in the U.S. by Faber & Faber. 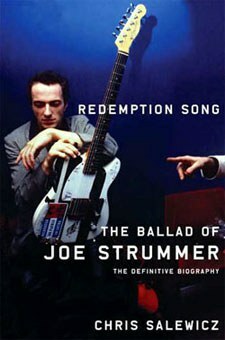 Excerpts from REDEMPTION SONG: The Ballad of Joe Strummer by Chris Salewicz, published this week by Faber and Faber, Inc., an affiliate of Farrar, Straus and Giroux. Copyright © 2006 by Chris Salewicz. All rights reserved.